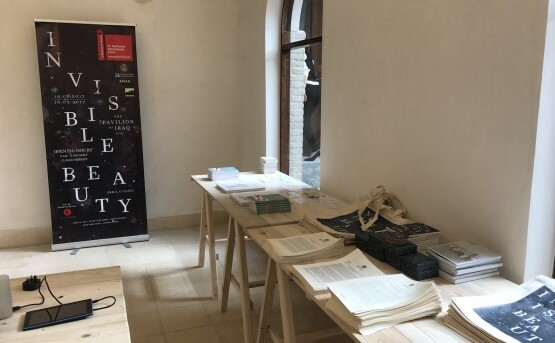 ‘Invisible Beauty’ attracted over 20,000 visitors at the Venice Biennale, between May and November 2015. After transferring to S.M.A.K. 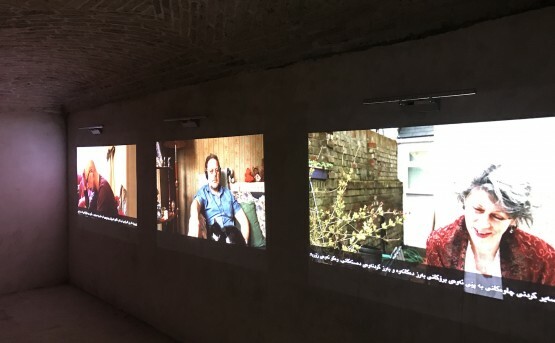 (Museum for Contemporary Art) in Ghent in May 2016, the exhibition will be re-staged in the Erbil Citadel in an 18th-century merchant’s dwelling, the Salih Chalabi House. The Erbil Citadel was placed on the UNESCO World Heritage List in 2014. The historic landmark is a walled fortified settlement that sits on top of an ovoid-shaped tell and dominates the Erbil cityscape. 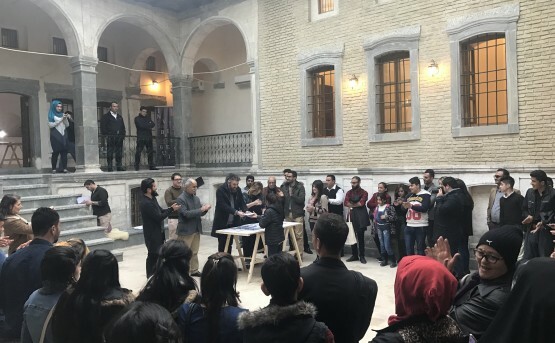 ‘Invisible Beauty’ will be the first time that an international exhibition has been held in the space and the show has been reformulated to suit its new environment, with all of the works displayed on locally crafted furniture. 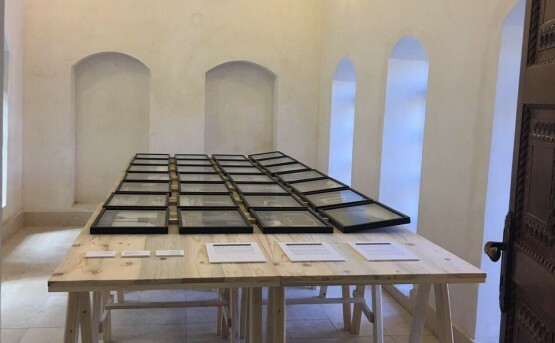 ‘Invisible Beauty’ is curated by Philippe Van Cauteren, Artistic Director of S.M.A.K. (Museum for Contemporary Art). 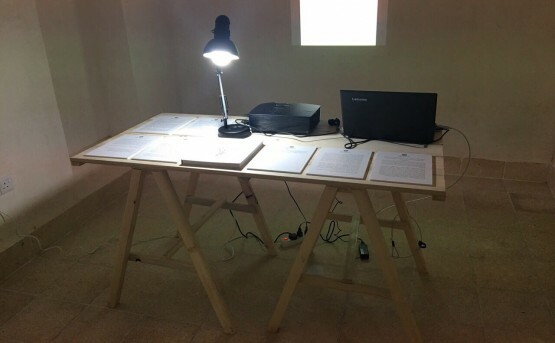 It will feature five contemporary artists from across Iraq and the diaspora. 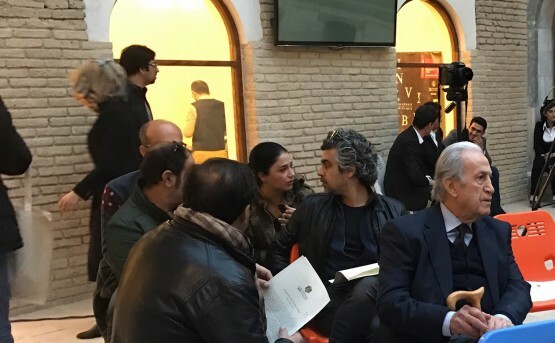 The artists work in a range of media and the exhibition will include works that were produced specifically for the exhibition as well as works that were rediscovered after long periods of inattention. 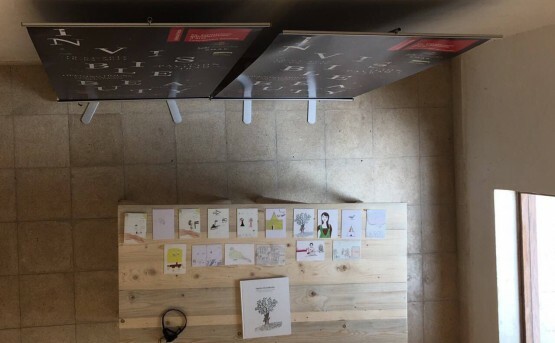 The exhibition will be accompanied by a display of over 500 drawings made by refugees in northern Iraq. 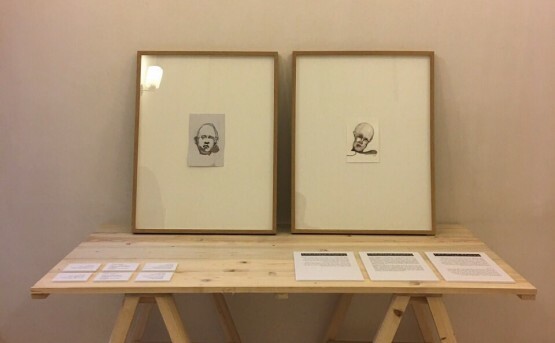 World renowned contemporary artist Ai Weiwei selected a number of these drawings for TRACES OF SURVIVAL: Drawings By Refugees in Iraq Selected by Ai Weiwei (Mercatorfonds, 2015). 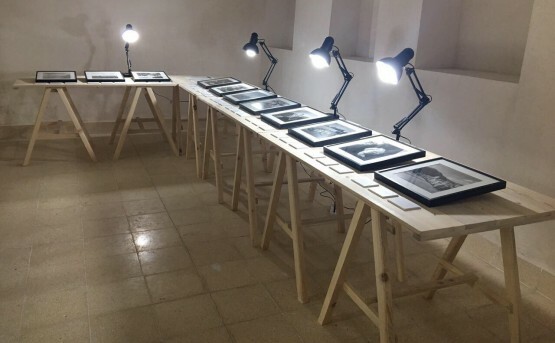 The artists in the exhibition will comprise two generations of Iraqi photographers, in the shape of Latif Al Ani (b. 1932) and Akam Shex Hadi (b. 1985), multimedia visual artist Rabab Ghazoul (b. 1970), ceramicist and sculptor Salam Atta Sabri (b. 1953) and painter Haider Jabbar (b. 1986). ‘Invisible Beauty’ opened on 19 January and runs until 16 February 2017. 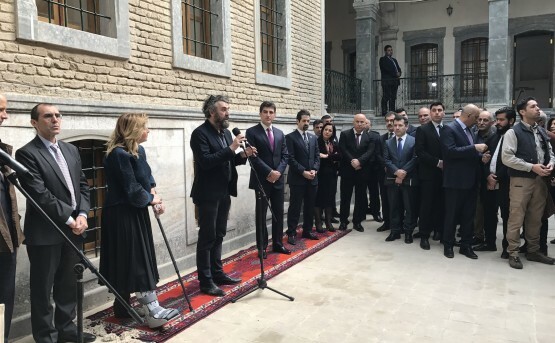 Invisible Beauty was restaged at the Salih Chalabi House in the Erbil Citadel. H.E. 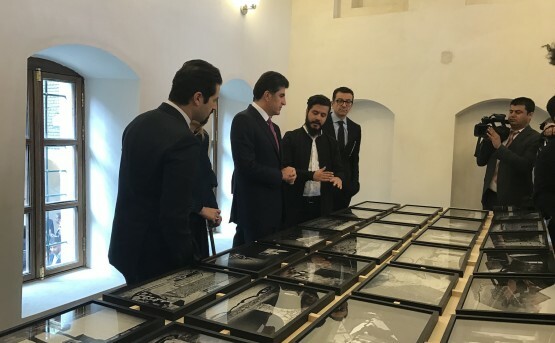 Prime Minister Mr. Nechirvan Barzani, and Deputy Prime Minister Mr. Qubad Talabani open the Invisible Beauty exhibition with Ruya Foundation’s chairman and co-founder Dr. Tamara Chalabi and curator Mr. Philippe Van Cauteren. H.E. 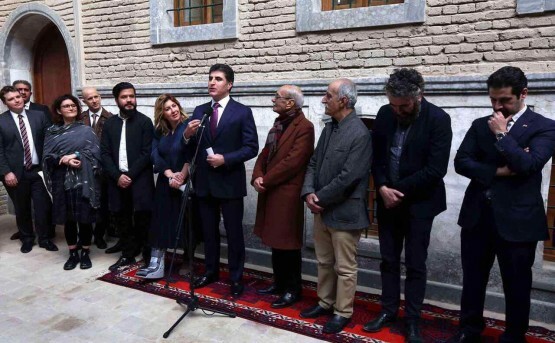 Prime Minister Mr. Nechirvan Barzani welcomes the artists Latif Al Ani, Salam Atta Sabri and Rabab Ghazoul to the Kurdistan Region of Iraq. H.E. 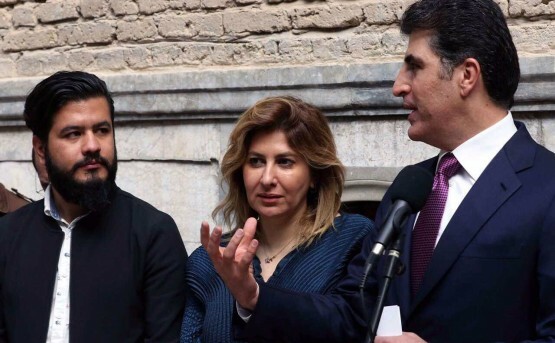 Prime Minister Mr. Nechirvan Barzani thanks Dr. Tamara Chalabi for her major contributions to Iraqi contemporary culture and for “changing the world’s image of Iraq”. Artistic Director of S.M.A.K. and Curator of Invisible Beauty, Mr. Philippe Van Cauteren. Akam Shex Hadi presents his work to H.E. 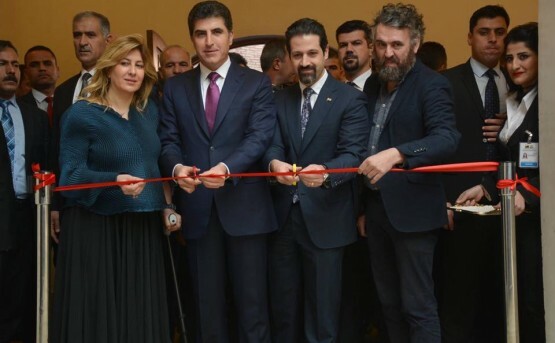 Prime Minister Mr. Nechirvan Barzani, Deputy Prime Minister Mr. Qubad Talabani, Ruya’s co-founder Mr. Shwan Taha. 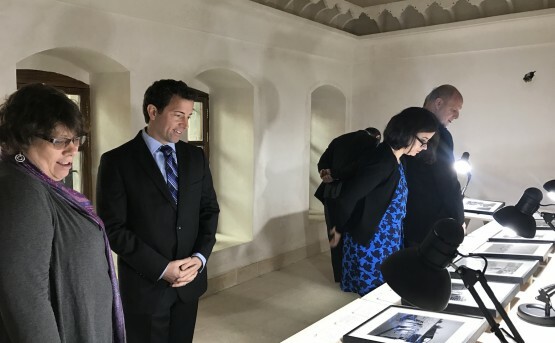 Visitors view a display of Latif Al Ani’s photographs in the Salih Chalabi house. 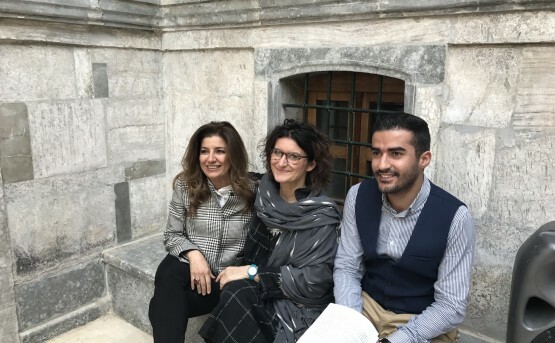 The Erbil based artist Ava Nadir meets Rabab Ghazoul. 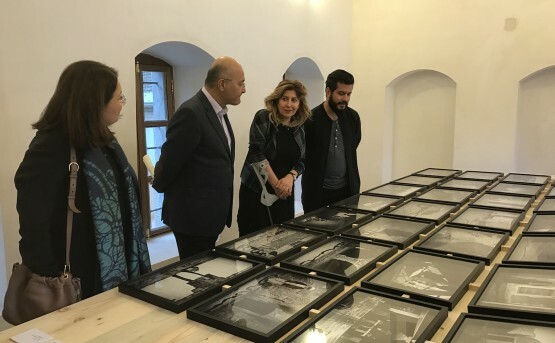 Salam Atta Sabri presents his work to Mr. Barham Salih, former Prime Minister of the Kurdistan Regional Government and former Deputy Prime Minister of the Iraqi Government, with Dr. Tamara Chalabi and curator Philippe Van Cauteren. 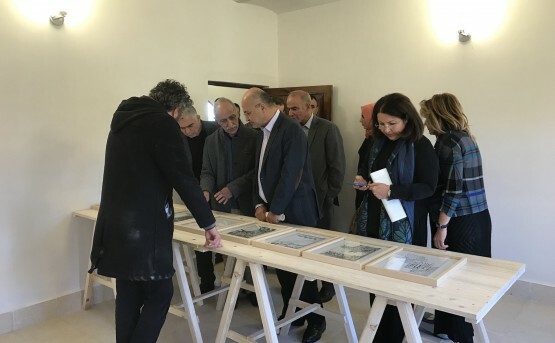 Akam Shex Hadi presents his work to Mr. Barham Salih, former Prime Minister of the Kurdistan Regional Government and former Deputy Prime Minister of the Iraqi Government, with Dr. Tamara Chalabi. 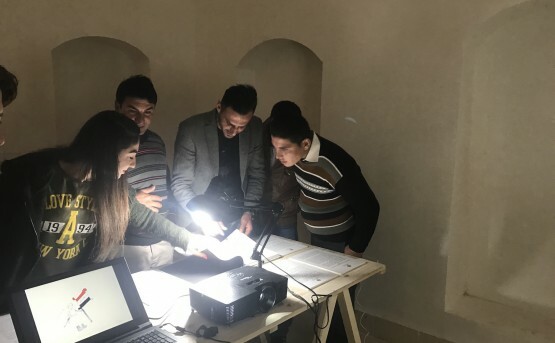 Visitors living in the IDP camps of northern Iraq admire their drawings in Traces of Survival. 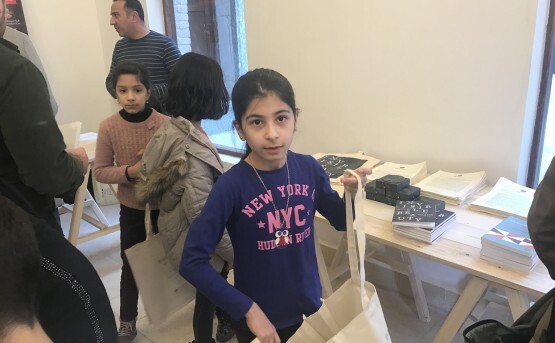 Contributors to the Traces of Survival book, who are living in IDP camps in northern Iraq, received money that was raised from the book. Ruya organised a visit of Invisible Beauty for the IDPs living in camps Baharka, Shariya and Mar Elia. 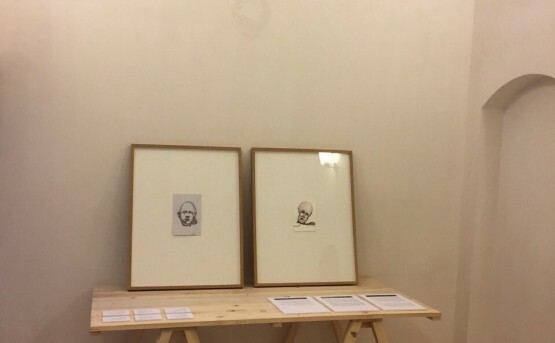 Rabab Ghazoul’s work in one of the rooms of the Salih Chalabi house. 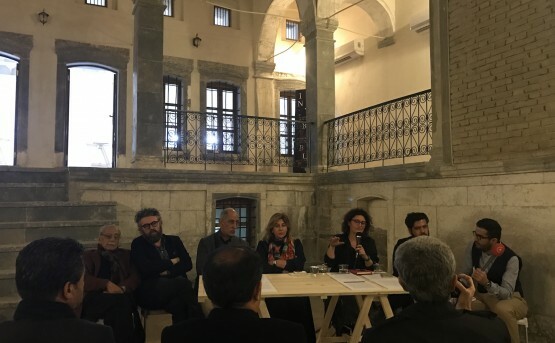 Artists from Sulaymaniya attended the panel discussion hosted by Ruya at the Citadel. 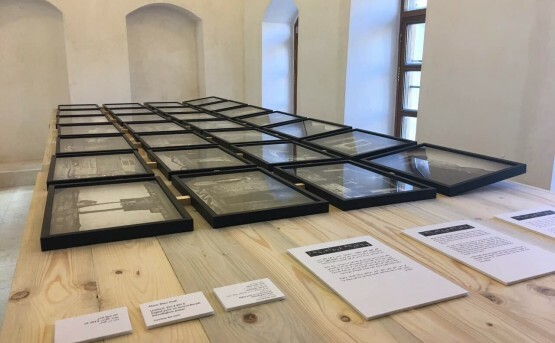 Rabab Ghazoul talks about the experience of exhibiting in Iraq, and revisiting the country which she left as a child. 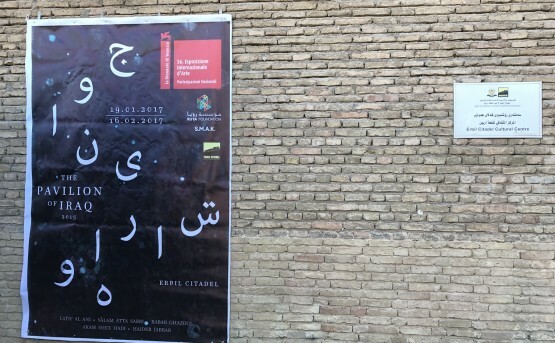 Salam Atta Sabri’s series, Letters from Baghdad. Latif Al Ani’s photographs taken in the 50s and 60s in Iraq and during his travels to Europe and North America. 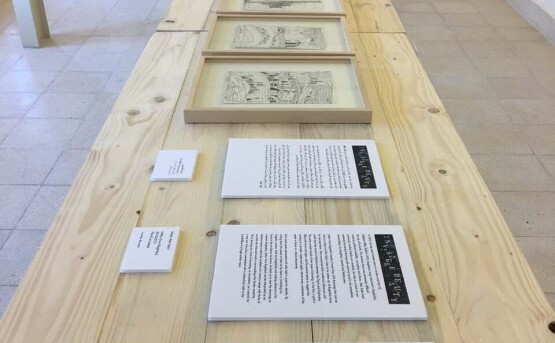 Traces of Survival: Drawings by Refugees in Iraq selected by Ai Weiwei. 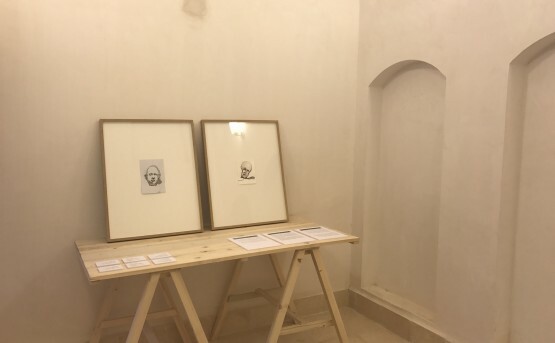 Drawings from the Traces of Survival on display at the Salih Chalabi House in the Erbil Citadel.